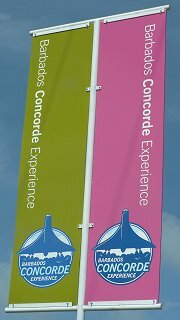 Please note that the Concorde Experience is currently closed. You, too, can fly an aeroplane! Not just any plane but the most graceful and elegant plane ever created. 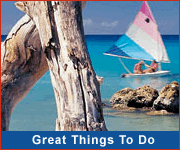 And you can do it in Barbados, in the new hi-tech Museum dubbed “The Concorde Experience”. It is not to be missed, for it is truly an adventure. But that is not all. Even before entering the Museum which houses the huge plane there are panels giving you information about flying which few people know: that Leonardo da Vinci not only designed an air machine but in 1496 actually made an attempt to build and fly one and that the first hot air balloon carried a sheep, a duck and rooster way back in 1783. But it was not until early in the last century (1903) that the Wright brothers made the first self-propelled and sustained flight over a distance of 120 feet. We have come a long way since then. 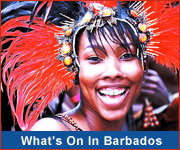 As for aviation in Barbados itself the first plane came to the island in 1913, the first passenger service started in 1939, the first terminal was built in 1942 and in 1959 a locally built helicopter rose to a height of six feet. The Concorde first came to Barbados in 1977 to take Her Majesty the Queen back to England. On entering the Museum you are treated to an impressive video/sound presentation telling about the plane itself and giving interesting information about some of its features: It can travel at twice the speed of sound (Mack 2.00) some 1380 m.p.h. or 23 miles per minute. This is faster than a rifle bullet. Since Barbados is only 21 miles long the Concorde could have travelled the length of the island in less than one minute! The Concorde’s “home” was in the stratosphere, on the edge of space, and it travelled so fast that it heated up, expanding the metal of which it was made and actually increasing the length of the plane by about seven inches during flight. The Concorde plane is really enormous, with landing wheels some four feet in diameter. Some other interesting facts about flight: the sound barrier, about 690 m.p.h., was first passed in 1947 and the first supersonic passenger plane flew 19 years later in 1976. Concorde had only four regular destinations: London, Paris, New York and Barbados and this is the reason why one of the planes – only 20 were ever built – has been given a final resting place in Barbados. 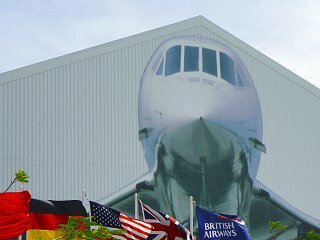 The Concorde Museum was designed under the sponsorship of the Barbados Hotel Association, Goddards Shipping and Tours and the Barbados Museum. Fascinating information comes repeatedly to the visitor. 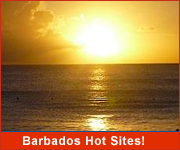 For example you learn that Barbados was privileged to be one of the primary flight destinations because it was the most easterly of the Caribbean islands and also had the necessary infrastructure to accommodate large planes. An interesting piece of information is highlighted on one of the panels: “after the Concorde fleet was retired in 2003 British Airways loaned Concorde G-BOAE to the people of Barbados in recognition of the role that the island played in Concorde’s success”. The tour guides are true professionals who are both courteous and well-informed and who respond graciously to questions put to them. From them you will learn that Barbados provides one of the most interactive Concorde displays anywhere in the world for in Barbados it is possible not only to see the plane in the distance but to come up close to it, to walk under it and even to enter the plane itself, walk along the aisle between the rows of seats, touch the seats, look into the pilots’ cockpit and be amazed at what seems an enormous and confusing array of dials which had to be kept under constant observation by the appropriate flight officer. A memorable experience is the introductory video which simulates take off, including the vibration of the plane; the simulation also offers experience of the sonic boom during flight. Realism is enhanced when you are handed a “boarding pass” before “boarding” and when this is collected at the entrance to the plane by a “flight attendant”. Finally, you should know that the Concorde Museum is within easy walking distance from the Grantley Adams International Airport and can therefore be visited after checking in – if you check in early. There are also facilities for storing hand luggage on the Museum compound. The Concorde Experience is indeed one that will long be remembered.